Thank you for considering our painting services in Tampa! If you are looking to add some brightness and beauty to your business or home, give Presto Painting Services a call, one of Tampa’s finest painting companies. 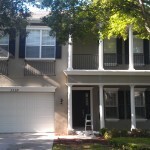 We provide both interior house painting and exterior house painting for Tampa residents. 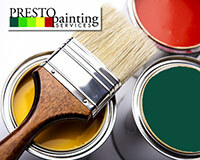 Presto Painting Services has your painting needs covered! Our professional painting team will deliver a painting service second to none for both commercial and residential locations. At Presto Painting Services in Tampa, we are committed to providing every customer with the highest quality painting services. We work with any budget and will find a way to get your job completed, with a perfected solution tailored just for you. For over six years, our painters have been updating and beautifying Tampa businesses and homes, making a lot of friends along the way. If the walls of your home are looking a bit drab, or you are ready to give your business a brand new look, speak with the painting experts at Presto Painting Services today. When the time has come to give your home or business a revitalization through a fresh coat of paint, call Presto Painting Services of Tampa. We have a stellar reputation across the internet including Yelp, HomeAdvisor, Mapquest, and more. When looking for a new look for one’s home, often the best way to accomplish that is by applying a new layer of paint. Brightening your personal space with a splash of fresh color can make your childhood home feel brand new! Whatever the look you are going for, the painters at Presto Painting Services will have your Tampa home looking simply stunning. Our team will work with you and your budget to have both the inside and outside of your home looking its best. 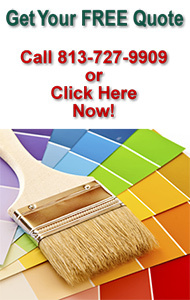 Enhancing and boosting your business is our top priority when painting your Tampa business. Presto Painting Services is one of Tampa’s top painting companies for adding that new look that gets your business noticed by new customers. We can work around your business as well, ensuring you can keep things running as smoothly as possible. We understand that every commercial painting job is different from the next. Our team is prepared to adapt to any schedule and business type. That is why the experience of Presto Painting Services in Tampa is imperative when having your business painted. We will get it done right and have your business looking fantastic. 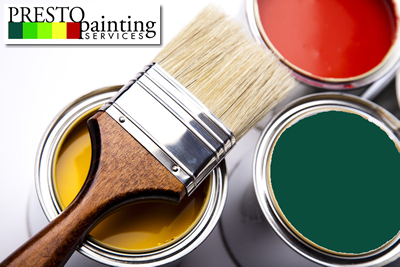 Out of Tampa’s top painting companies, Presto Painting Services ranks above them all. Call us at (813) 727-9909.